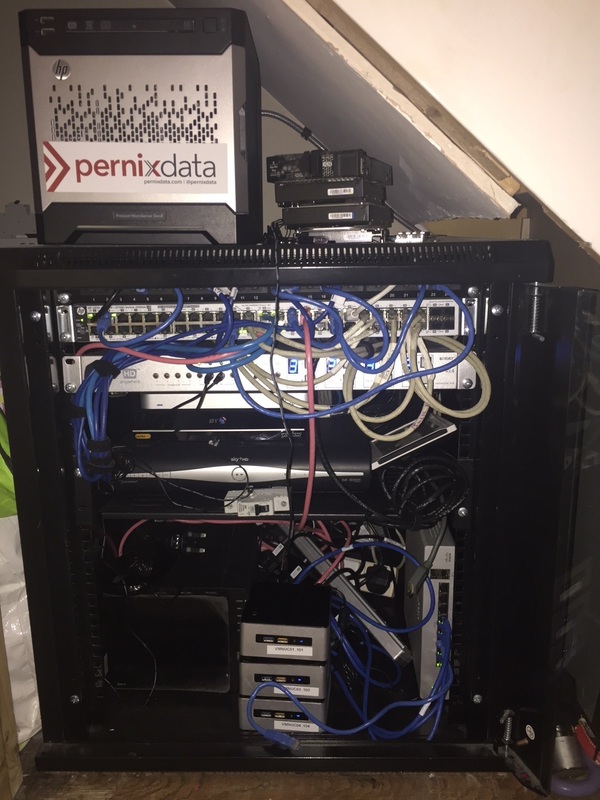 This is my main part of my lab that runs all the time is below, it needs a bit of a tidy soon but I am still wondering if I want to upgrade my Synology. I have upgrade the Microsever with a i3 and still on the hunt for a Xeon for it and also trying to see if I can get a PCI-E SSD via the PCI port. I usually also have the below with the kit too of which has served me well for years once I got it working again and that my xw9400 with a whopping 24GB of RAM (this is is like 5+ years old!) but the AMD dual procs make it good for running my little VDI farm via Citrix and VMWare workstation on here so I can remote in easily. There are also two other NUCs that are usually part of my VSAN cluster of which I was trying to get a 4th Nutanix node but it appears the WD PCI-E drives I have in these just don't like CE I am going to keep swapping bits round just to see if it is these specific drives. 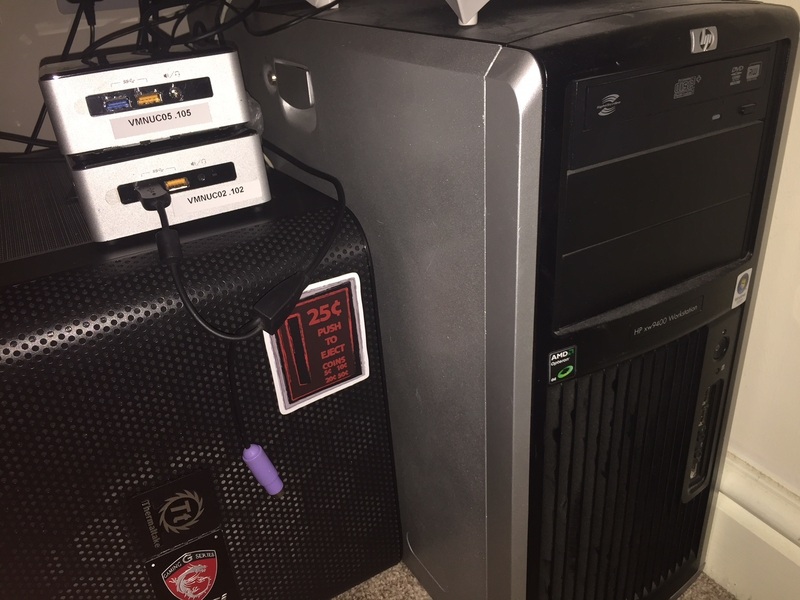 The Machine on the left was a i7 'gaming rig' of which I have used for my VR things but at Christmas I treated myself to a nice HP Omen Laptop that can now do this so great for events. 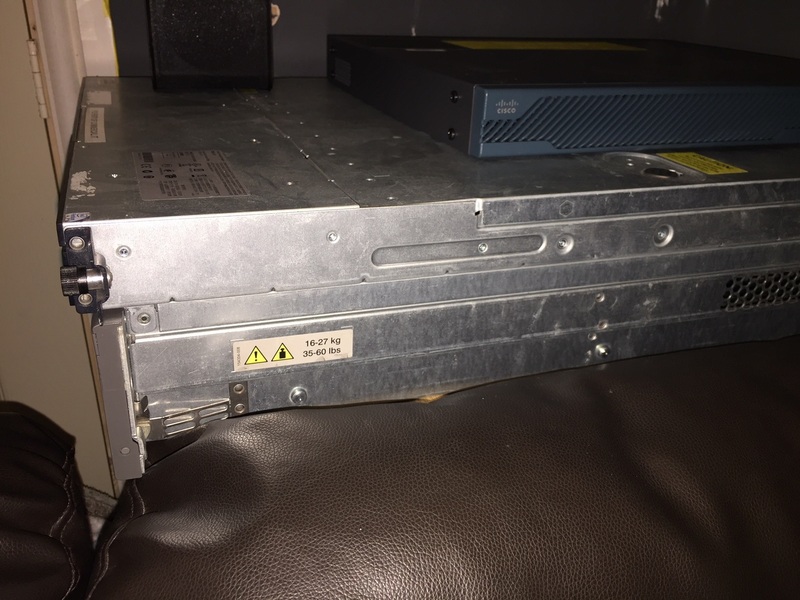 My next version of the Lab I want to see if I can get some nice 1U SuperMicro machines to go into the rack but I also have a Xeon proc that I could use but the motherboards still seem super expensive for it! I have been keeping an eye on the AS Rock X99 Taichi and then packing it with RAM both NVME bays and maybe run several nested solutions via VMware workstation. Looks great! Love simulating a robo in the next room!